(a) Check that the engine does not start when the clutch pedal is released. (b) Check that the engine starts when the clutch pedal is fully depressed. 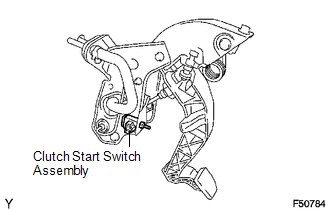 If necessary, replace the clutch start switch assembly. (a) Measure the resistance between the terminals when the switch is ON and OFF. 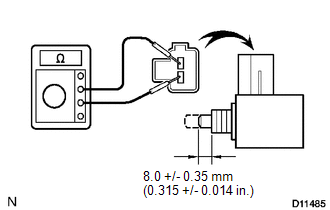 (a) Disconnect the clutch start switch assembly connector. 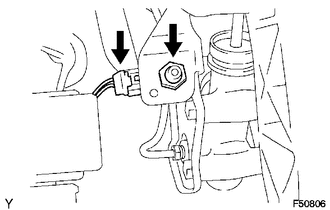 (b) Remove the nut and clutch start switch assembly from the clutch pedal support. (a) Install the clutch start switch assembly with the nut. (b) Connect the clutch start switch assembly connector.